Honey Locust Bowl - TT075 [TT075] : No Skew Turns, Gifts handcrafted from the world's beautiful woods. 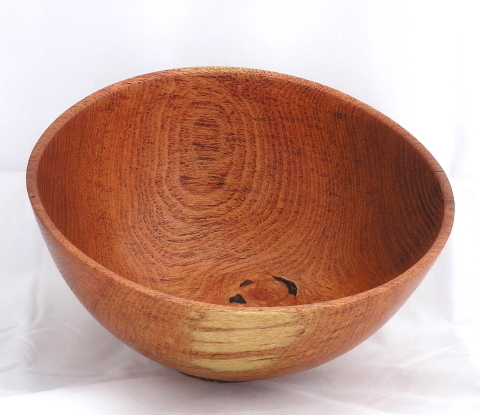 The subtle oval shape of this Honey Locust bowl was casued by turning it from freshly cut or "green" wood, and then letting it dry. This also gave a bit of ripple texture to the burled area at the bottom. Good for dry foods, but due to a slight void near the burl, not suited for liquids.